The decision of the joint Science Commission of the Excellence Strategy run by the german federal and state governments came on 27 September 2018: Starting January 1, 2019, the two interdisciplinary research projects "Math+" and "Unifying Systems in Catalysis" will be funded with an annual budget of approximately 10 million euros each for seven years. After the seven years, a decision will be made on whether the funding will be extended for a further seven years on the basis of a renewal proposal. The cluster "Unifying Systems in Catalysis (UniSysCat)" continues the successful work of UniCat, the preceding project of the Excellence Initiative, and builds on ten years of outstanding research in the field of catalysis. Catalysis research is not only regarded as one of the most important research areas in chemistry, it is also the main driver for "green chemistry", which focuses on sustainability and resource conservation. Individual catalytic reactions have already been well researched. Now it is a matter of decoding reaction networks in chemical and biological catalysis in space and time so that they can be controlled and, above all, simulated. 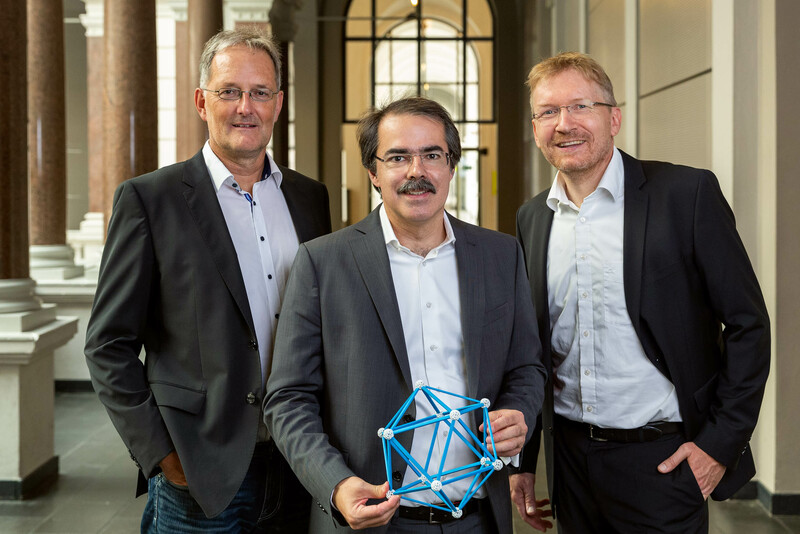 „We are very pleased with the approval of the cluster and the opportunity to conduct innovative research," says Matthias Driess, Professor of Chemistry at the Technical University of Berlin and one of a total of three UniSysCat spokespersons. „We will work on the broad range of topics in five interdisciplinary research fields. The aim is to understand how starting materials, intermediates and reaction products come into contact with different catalysts," explains Arne Thomas, also cluster spokesperson and Professor of Chemistry TU of Berlin. Along with Matthias Driess and Arne Thomas, Professor Peter Hildebrandt is the third speaker of the newly approved research cluster. The overarching goal of Math+ is to shape the future through mathematics. In detail, the focus is on mathematical foundations for the use of ever larger amounts of data in the life and material sciences, energy and network research or the humanities and social sciences. In addition to scientific advances, technological innovations and a comprehensive understanding of social processes will also be considered. "The German Research Foundation's decision to support the MATH+ excellence cluster confirms Berlin's outstanding position as an internationally excellent location where mathematics is promoted in its entire width, from pure theory to a large number of mathematical fields of application," emphasizes Professor Martin Skutella of the Technical University of Berlin and one of the three speakers of MATH+. In addition to Martin Skutella, Michael Hintermüller of HU Berlin and Christof Schütte of FU Berlin will act as spokespersons for the cluster. Furthermore, the Weierstrass Institute for Applied Analysis and Stochastics and the Zuse Institute Berlin are involved in the cluster both conceptually and structurally as applicant research institutions. We would like to congratulate both clusters and wish them every success!